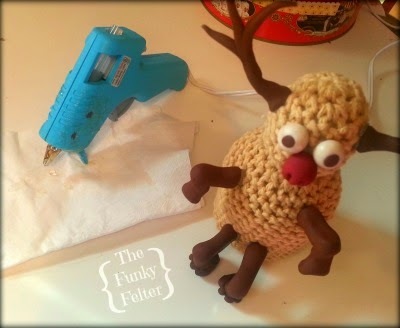 Have you created a handmade Rudolph yet? 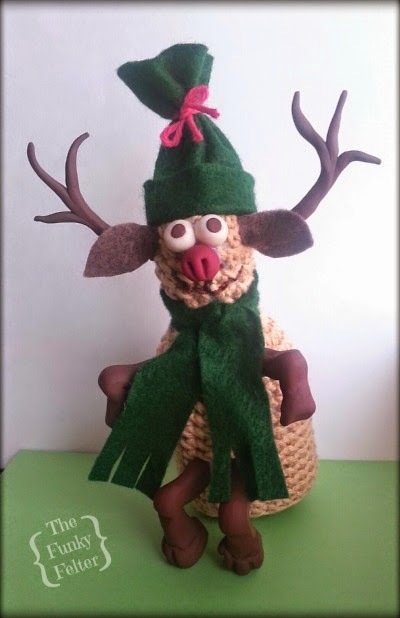 Crochet this quick and easy reindeer before Christmas arrives! Note: Work in continuous rounds throughout the patterns. I recommend using a stitch marker to mark the beginning of each round for tracking them as you go more easily. Make a magic ring, 6 sc into ring and pull tight. 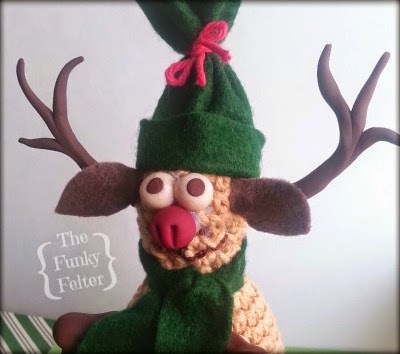 Note: At this point, I recommend you flip the crocheted reindeer right side out. 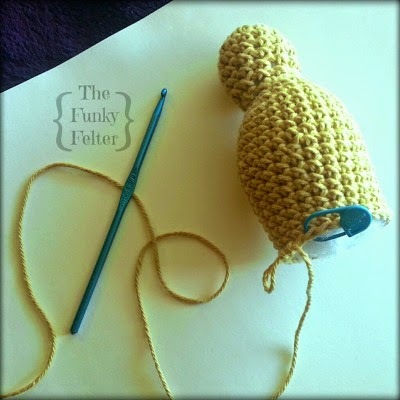 Then stuff it with polyfill before starting the decreases in the next rounds. If you'd like it a little more sturdy, you can also add some beans or filler pellets to the base to weight it down as it sits. Tie off and weave in ends. Use brown embroidery floss to add on a simple mouth using a backstitch. Felt Hat, Scarf & Ears: The hat was made of a long rectangular piece of felt joined at the shorter edges with a strip of hot glue. Then rolled up on end of the open tube for the cuff and tied at the other end with yarn for the top. The scarf is a very long, thin rectangular piece of felt with slits cut for fringe at the end. 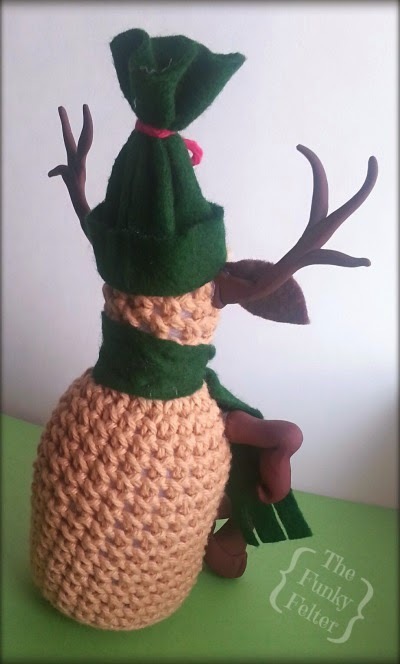 I used 100% wool felt for both the hat and scarf and 100% cotton yarn for the hat tie. The ears were freehand cut from acrylic craft felt. 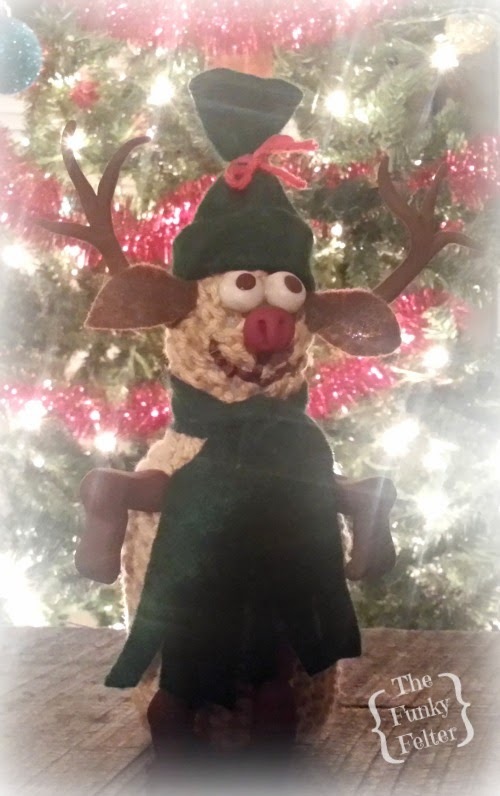 I hot glued all pieces onto the reindeer head. 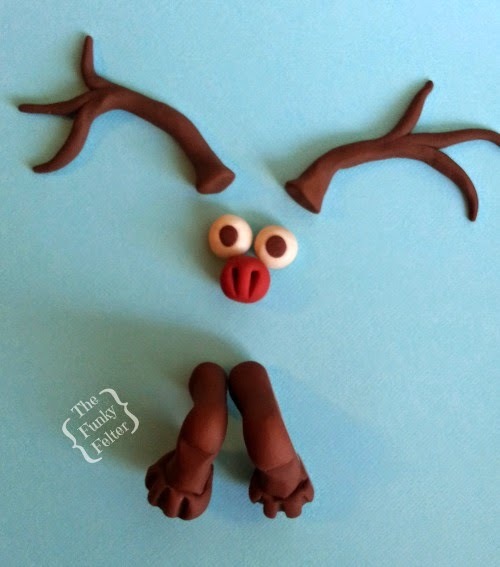 Polymer Clay Eyes, Nose, Antlers, Arms & Legs: I used polyclay to mold the different body and facial features. You can see in the photo what colors were used for each piece. These were formed freehand without any patterns to share. (Sorry about that!) Than I baked all the pieces according to the manufacturer's instructions and attached them with hot glue. OMG! This is soooo adorable! !